Cast-iron cookware breeds a strange kind of obsession. When I got my first pan, I spent untold hours seasoning, cooking, researching the best non-soap methods to use for cleaning, and re-seasoning that thing. Finally, I became exhausted by the whole process and realized that you can skip seasoning a cast-iron pan as long as you use it regularly and clean and oil it properly in-between uses. However, according to many people who love cast iron, vintage pans are far superior to modern ones (vintage, in this case, being defined as any pan made pre-1950). Many cast-iron aficionados swear that older is definitely better—better as in more durable, conducts heat more evenly, and withstands arduous conditions. While cast-iron pans continue to be made from the same material no matter what the era, production methods have changed as demand increased. Pre-1950s, cast-iron pans were made in sand-based molds and then polished so the surface was practically mirror-like. After 1950, manufacturers skipped the polishing step (but they now pre-season the surface). However, most modern pans have a slight grain to the pan while vintage ones are smooth. In terms of weight, vintage pans are slightly lighter and thinner than modern ones. This is an advantage, because as any cook knows, you need serious muscle to lift your cast-iron Dutch oven or skillet. Frankly, though, I don't know whether vintage cast iron is better than modern-day pans at actually cooking food. If you season your modern-day pan properly, I personally think it holds up to even the best Griswold or Wagner, two of the most sought-after names in vintage cast iron. I know many people who wouldn't agree, and would love to hear your opinions as to why. 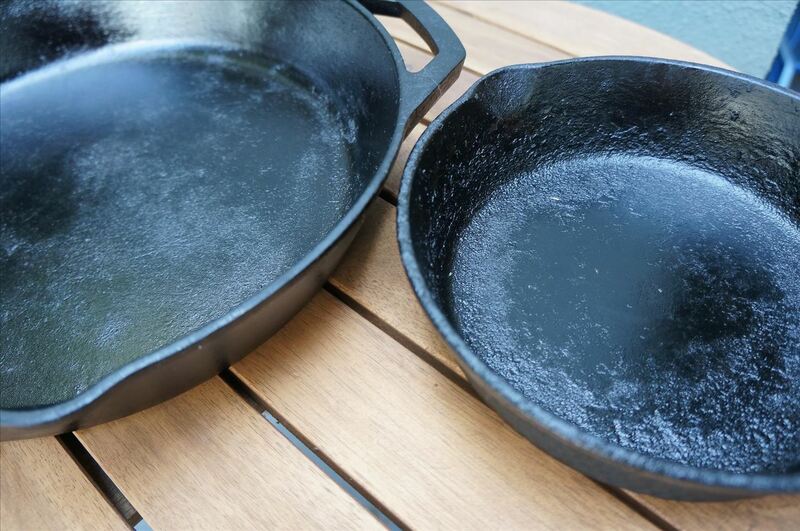 So tell me: Is vintage cast-iron worth it? Want to Start Collecting Vintage Cast Iron? Then be sure to study up on the subject first. 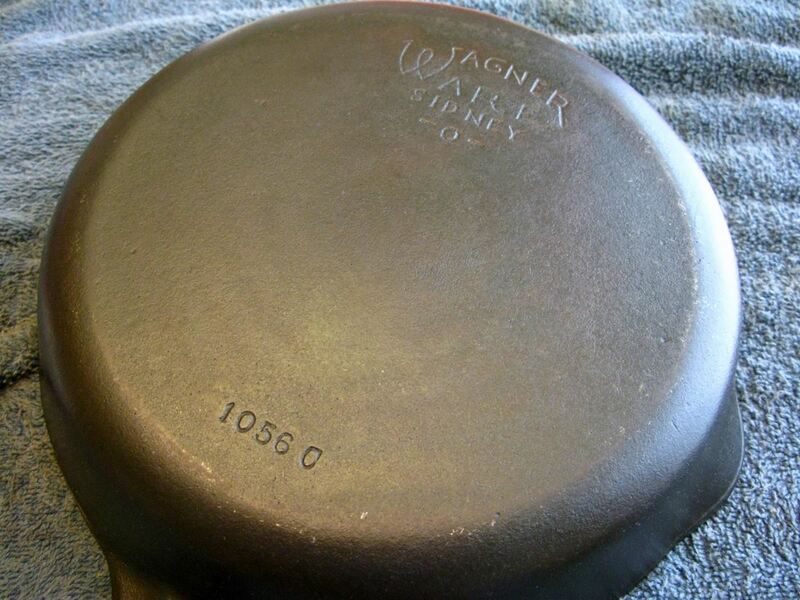 Here's a great primer on Griswold pans and here's one on Wagners. 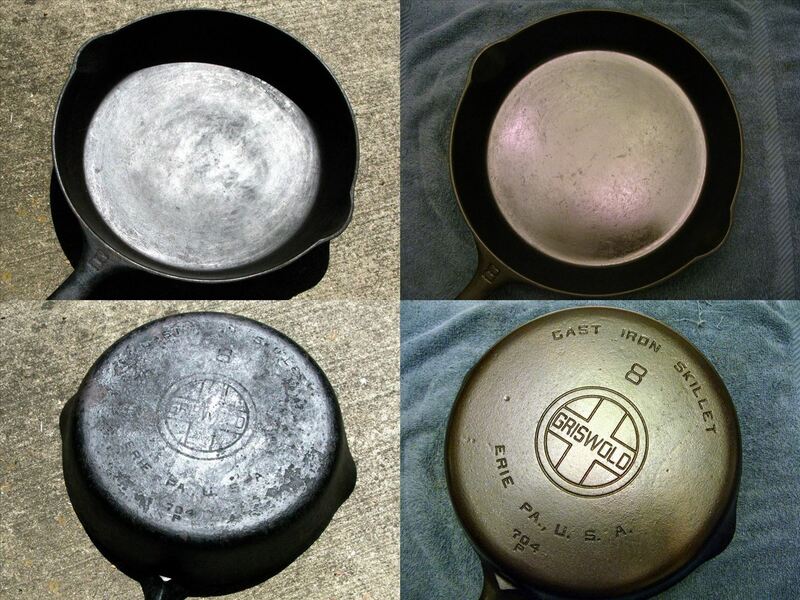 Fake vintage pans abound, so be sure you figure out how to avoid them. Don't forget that even seriously rusty pans can be restored, as this guide from Serious Eats explains. And if you want to get started with cast-iron cooking and aren't quite ready to dive into the vintage world just yet, Lodge, one of the most ubiquitous manufacturers of modern cast iron, makes a good 12-inch skillet as does T-Fal. There are plenty of food tools for your kitchen that you probably don't know about, but wish you did, like the Jaccard, the only meat tenderizer you'll ever need. Also, there's the tagine (the best slow cooker ever), the Anti-Griddle (like liquid nitrogen, only better), and the ibrik (a coffeemaker for true coffee aficionados).